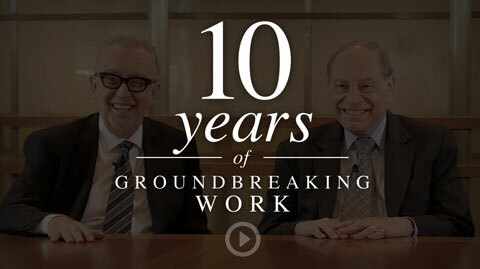 Watch Irving Picard, David Sheehan, and Stephen Harbeck discuss 10 years of groundbreaking work. In the SIPA Liquidation of BLMIS, unresolved matters remain that require court determination. Until resolved, these matters require reserves. In addition, 28 claims have been “deemed determined pending litigation” and the SIPA Trustee must establish sufficient reserves to ensure that he would be able to make all pro rata distributions to date to all potentially eligible claimants, whether or not their claims are allowed at the time of distribution. In the Bernard L. Madoff Investment Securities LLC (BLMIS) liquidation, the Securities Investor Protection Corporation (SIPC) has made cash advances – up to a maximum of $500,000 per allowed claim – available to the court-appointed Securities Investor Protection Act (SIPA) Trustee to distribute to eligible customers, as a way to expedite financial relief to these customers. As of April 19, 2019, SIPC has committed approximately $845.9 million to the BLMIS liquidation for this purpose. SIPC-committed advances will continue to increase as claims that are currently in litigation are allowed as a result of settlements or the conclusion of litigation. According to the provisions of SIPA, SIPC is reimbursed for its advances to customers once each respective customer claim is fully satisfied. As of the tenth pro rata interim distribution in the BLMIS liquidation proceeding, SIPC received $222.9 million in reimbursement from the Customer Fund for advances paid on fully satisfied accounts. *In this instance, the term "subrogation" refers to the reimbursement to SIPC of cash advances made to BLMIS customers, once the respective allowed customer claim has been fully satisfied. A decade has passed since the discovery of the Madoff Ponzi scheme, the largest financial fraud in history. Understandably, the collapse was met with heartbreak, shock, and disbelief. But just as the realizations of financial loss were taking hold, a professional recovery process was born. The failure of the Madoff brokerage meant that, simultaneous with the FBI investigations, a special law, the Securities Investor Protection Act, was triggered. This Act gave the Securities Investor Protection Corporation (SIPC) oversight of the case, full responsibility to pay for the recovery effort, and cleared the way for a Trustee, who would have the mandate to search for and use the legal system to recover funds. 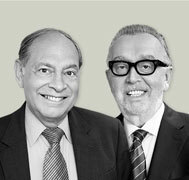 The Madoff matter became the largest case in the history of SIPC and we were asked to serve as its stewards. How two lawyers, Irving Picard and David Sheehan, have recovered 75 cents on the dollar of the stolen money—many times the usual rate in such cases. The tenth pro rata interim distribution of recoveries commences, which is approximately 2.729 percent of the allowed claims amount of each individual account, unless already fully satisfied. The U.S. Bankruptcy Court for the Southern District of New York Approves an Allocation of New Recoveries to the BLMIS Customer Fund and Authorizes a Tenth Pro Rata Interim Distribution to BLMIS Customers with Allowed Claims. Madoff Recovery Initiative marks 10-year anniversary; more than $13.3 billion recovered to date, making it the most successful Ponzi scheme recovery in history in terms of dollar value and percentage of stolen funds recovered. The United States Bankruptcy Court for the Southern District of New York approved a $281 million settlement agreement between the SIPA Trustee and Ascot Partners, Ascot Fund, J. Ezra Merkin, and Gabriel Capital. The United States Bankruptcy Court for the Southern District of New York approved a $76.45 million settlement agreement between the SIPA Trustee and Alpha Prime Fund Ltd. The ninth pro rata interim distribution of recoveries commences, which is approximately 3.806 percent of the allowed claims amount of each individual account, unless already fully satisfied. The U.S. Bankruptcy Court for the Southern District of New York Approves an Allocation of New Recoveries to the BLMIS Customer Fund and Authorizes an Ninth Pro Rata Interim Distribution to BLMIS Customers with Allowed Claims. SIPA Trustee requests Court approval to allocate $1.3 billion to Customer Fund and to distribute $584 million to BLMIS customers with allowed claims for 9th pro rata interim distribution. The United States Bankruptcy Court for the Southern District of New York approved a $687 million settlement agreement between the SIPA Trustee and Thema International Fund plc. The United States Bankruptcy Court for the Southern District of New York approved a $240 million settlement agreement between the SIPA Trustee and Lagoon Investment Ltd and Hermes International Fund Ltd. The United States Bankruptcy Court for the Southern District of New York approved a $130 million settlement agreement between the SIPA Trustee and Thema Wise Investments Ltd and Thema Fund Ltd. The United States Bankruptcy Court for the Southern District of New York approved a $23 million settlement agreement between the SIPA Trustee and the Madoff family estates. The eighth pro rata interim distribution of recoveries commences, which is approximately 1.729 percent of the allowed claims amount of each individual account, unless already fully satisfied. The U.S. Bankruptcy Court for the Southern District of New York Approves an Allocation of New Recoveries to the BLMIS Customer Fund and Authorizes an Eighth Pro Rata Interim Distribution to BLMIS Customers with Allowed Claims. The United States Bankruptcy Court for the Southern District of New York approved a $32 million settlement agreement between the SIPA Trustee and Cohmad Securities Corporation, the Estate of Maurice “Sonny” Cohn, Marcia B. Cohn and Marilyn Cohn. The United States Bankruptcy Court for the Southern District of New York approved a global settlement – made in cooperation with the California Attorney General – with the defendants in Picard v. the Estate of Stanley Chais, et al. The seventh pro rata interim distribution of recoveries commences, which is approximately 1.305 percent of the allowed claims amount of each individual account, unless already fully satisfied. The U.S. Bankruptcy Court approves the SIPA Trustee’s motion for a seventh pro rata interim distribution of 1.173 percent. SIPA Trustee files motion seeking approval for an allocation to the Customer Fund and a seventh pro rata interim distribution. The U.S. Bankruptcy Court approves the recovery agreement with Dorado Investment Company, et al. that will benefit the BLMIS Customer Fund by approximately $30 million. The U.S. Bankruptcy Court approves the recovery agreement with Vizcaya Partners Limited, Asphalia Fund Limited, and Zeus Partners Limited. The settlement will benefit the BLMIS Customer Fund by approximately $25 million. The sixth pro rata interim distribution of recoveries commences, which is approximately 8.262 percent of the allowed claims amount of each individual account, unless already fully satisfied. U.S. Bankruptcy Court approves the SIPA Trustee’s motion for a sixth interim distribution of approximately $1.5 billion, $1.18 billion to be distributed as soon as order becomes final. The U.S. Bankruptcy Court approves the recovery agreement with Thybo Asset Management Limited and Thybo Stable Fund Ltd. that will benefit the BLMIS Customer Fund by more than $46.6 million. The SIPA Trustee announces a recovery agreement with Thybo Asset Management Limited and Thybo Stable Fund Ltd. that will benefit the BLMIS Customer Fund more than $46.6 million. SIPA Trustee files motion seeking approval for an allocation to the Customer Fund and a sixth pro rata interim distribution. Supreme Court denies review of time-based damages issue, affirming SIPA Trustee’s position that BLMIS claimants are not entitled to interest or inflation. The U.S. Bankruptcy Court approves $140 million recovery agreement for the BLMIS Customer Fund with Plaza Investments International Limited and Notz, Stucki Management (Bermuda) Limited. The U.S. Bankruptcy Court approves $35 million recovery agreement between the SIPA Trustee and Ariel Fund Limited and Gabriel Capital, L.P. The U.S. Bankruptcy Court approves $93 million recovery agreement between the SIPA Trustee and Defender Fund. The SIPA Trustee files a motion in the U.S. Bankruptcy Court seeking approval for a sixth pro rata interim distribution from the Customer Fund to BLMIS customers with allowed claims. SIPA Trustee files petition for writ of certiorari with the United States Supreme Court seeking review of lower court decisions regarding “safe harbor/stockbroker” defense in Madoff Ponzi scheme. The U.S. Court of Appeals for the Second Circuit upholds the United States Bankruptcy Court decision that claimants in the SIPA liquidation of BLMIS are not entitled to time-based damages. The fifth pro rata interim distribution of recoveries begins, which is approximately 2.743 percent of the allowed claims amount of each individual account, unless already fully satisfied. The U.S. Bankruptcy Court for the Southern District of New York approves the SIPA Trustee’s allocation and distribution motion for a fifth pro rata interim distribution of 2.743 percent. SIPA Trustee files motion seeking approval for an allocation to the Customer Fund and a fifth pro rata interim distribution. The U.S. Bankruptcy Court for the Southern District of NY approves the SIPA Trustee’s settlement of $497 million with Herald Fund SPC and Primeo Fund. The U.S. Bankruptcy Court for the Southern District of NY approves the SIPA Trustee’s $95 million settlement agreement with Senator Fund SPC. The United States Bankruptcy Court for the Southern District of New York approves a recovery agreement of up to $62 million between the Madoff Trustee and Edward Blumenfeld and others. SIPA Trustee files motion seeking approval for an allocation to the Customer Fund and a fourth pro rata interim distribution. The fourth pro rata interim distribution commences; as of February 1, 2016, the fourth pro rata interim distribution totals $468 million. The U.S. Bankruptcy Court for the Southern District of NY approves the SIPA Trustee’s allocation and distribution motion for a fourth interim distribution of 3.180 percent. The U.S. Bankruptcy Court for the Southern District of New York approves settlement agreements with JPMorgan Chase, adding $275 million to the Customer Fund. SIPA Trustee files petition for writ of certiorari with the United States Supreme Court seeking review of lower court decisions regarding banks and their liability in the Madoff Ponzi scheme. U.S. Bankruptcy Court for the Southern District of New York approves $97.8 million settlement with Maxam Absolute Return Fund and other related funds/entities, recovering 100% of the Maxam Defendants’ BLMIS withdrawals. The U.S. Bankruptcy Court for the Southern District of New York approves the SIPA Trustee’s motion to deny time-based damages adjustments to customer claims. The third pro rata interim distribution of recoveries begins, which is approximately 4.721 percent of the allowed claims amount of each individual account. The U.S. Bankruptcy Court for the Southern District of New York approves the SIPA Trustee's allocation and distribution motion for a third pro rata interim distribution of 4.721 percent. The U.S. Court of Appeals for the Second Circuit upholds the SIPA Trustee’s $220 million settlement with the Norman F. Levy family. Absent additional appeals, the settlement will be made available for distribution. The second pro rata interim distribution of recoveries begins, which is approximately 33.5 percent of the allowed claims amount of each individual account. Bankruptcy Court approves the SIPA Trustee’s motion for allocation and second interim distribution of 33.5 percent of each allowed claim. The deadline for further appeals of the $7.2 billion Picower forfeiture to the United States Government expires, making the forfeiture order final, and the $5 billion settlement payment is released to the SIPA Trustee. United States Supreme Court denies petitions for certiorari, thereby upholding net equity methodology in BLMIS liquidation. The U.S. District Court upholds the Bankruptcy Court’s approval of the $5 billion settlement with the estate of Jeffry Picower and also upholds the injunction barring claims against the Picower estate by third parties. A $162 million settlement agreement is reached with Sterling Equities. The settlement sum is equal to 100 percent of the fictitious profits withdrawn by the Sterling parties during the six-year period prior to the BLMIS liquidation proceeding. A $326 million settlement with the United States of America, on behalf of the Internal Revenue Service, was approved by the United States Bankruptcy Court for the Southern District of New York. The first pro rata interim distribution to BLMIS customers whose claims have been allowed by the Trustee commences. The United States Bankruptcy Court for the Southern District of New York approved a settlement with Mount Capital Fund, a BLMIS Feeder Fund, which returned $43.5 million to the Customer Fund. The U.S. Court of Appeals for the Second Circuit upholds the Trustee’s definition of net equity as applied to the Madoff Ponzi fraud, an important step forward for customers with allowed claims. The settlement with the Tremont Group, the second-largest Madoff feeder fund network, increases the Customer Fund by $1.025 billion and facilitates future recoveries for feeder fund investors. The Bankruptcy Court approves the SIPA Trustee's motion for an initial pro rata interim distribution of 4.602 percent. An amended complaint filed against JPMC expands allegations, seeks a jury trial and increases minimum damages sought to at least $19 billion in addition to approximately $1 billion in fraudulent transfers and other claims. A settlement with Fairfield Sentry effectively increases future Customer Fund payments by nearly $1 billion and strengthens claims against the owners and management of the Fairfield Funds and hundreds of subsequent transferees. The SIPA Trustee files a motion for the allocation of $2.6 billion to the Customer Fund and for the initial, pro rata, interim distribution of $272 million. A $7.2 billion settlement agreement is reached with the estate of Jeffry Picower; $5 billion is allotted to the Customer Fund and $2.2 billion to the government as forfeiture. The $5 billion for the Customer Fund is under appeal. A RICO complaint is filed against the Medici Enterprise defendants, including Sonja Kohn, Bank Medici and related entities, including UniCredit and Bank Austria. The action seeks to recover $19.6 billion in damages (trebled under RICO). The SIPA Trustee announces a $550 million recovery agreement with the family of Carl Shapiro. The recovery is appealed and the $550 million is held in escrow, pending a ruling on the appeal. The SIPA Trustee and his counsel file a lawsuit against JP Morgan Chase, Madoff’s primary banker, and related entities, seeking more than $6.5 billion in fees, profits, avoidable transfers, and damages. The SIPA Trustee and his counsel file 40 lawsuits against relatives of Madoff and his wife, as well as former BLMIS employees and their relatives, seeking to recover approximately $69 million in fraudulent transfers. The SIPA Trustee and his counsel file a lawsuit against UBS AG and related entities alleging 23 counts of financial fraud and misconduct in both common law and bankruptcy causes of action, seeking the recovery of at least $2 billion. The SIPA Trustee announces the continuation and extension of the Hardship Program to facilitate understanding of the financial circumstances of avoidance action complainants. Vizcaya Partners is ordered to pay back $180 million it withdrew from BLMIS in the five months before the fraud came to light. Approximately $73 million deposited in Gibraltar is requested returned to the United States to help satisfy the judgment. The Honorable Judge Burton R. Lifland of the Bankruptcy Court for the Southern District of New York upholds the SIPA Trustee’s “net equity” methodology for determining eligibility for distributions from the Customer Fund. The Trustee announces a $220 million agreement with Jeanne Levy-Church and Francis N. Levy, returning that amount of money to the Customer Fund. To avoid devaluation of a major asset (an Embraer Legacy 600), Chapter 11 proceedings begin to secure full ownership of the BLMIS-owned BLM Air Charter LLC. The total amount of SIPC advances exceeds the half-billion-dollar mark. This amount now exceeds the total of all prior SIPC advances made since SIPA was passed by Congress in 1970. A lawsuit is filed against four Madoff family members seeking to recover approximately $200 million in customer funds allegedly diverted to the family members or spent on their behalf. In an effort to speed the delivery of funds to BLMIS victims, SIPC agrees to pay the undisputed portion of a claim (up to $500,000) even if the customer has objected to the SIPA Trustee’s determination of the claim. The Trustee files a lawsuit against Ruth Madoff, the wife of Bernard L. Madoff, seeking to recapture approximately $45 million in funds transferred to her or to companies in which she was an investor. The period allowed for submitting claims closes. Complaints are filed against Cohmad Securities Corporation seeking to recover more than $100 million in fees paid by BLMIS to the alleged feeder fund that helped channel billions of dollars and more than a thousand customers to Madoff. The Honorable Judge Burton R. Lifland of the Bankruptcy Court for the Southern District of New York orders the substantive consolidation of the Estate of Bernard L. Madoff into the SIPA Proceeding of Bernard L. Madoff Investment Securities LLC. Optimal Investment Services SA agrees to settle lawsuits brought by the Trustee and pays $235 million to the Customer Fund. Castor Pollux Securities wins the Court-approved auction of the BLMIS market-making business assets for $1 million at closing and up to $24.5 million in deferred compensation through December 2013. More than 8,000 claims forms are mailed to victims of the fraud, with instructions for filing by initial deadlines of March 4, 2009 and July 2, 2009; claims forms are also available for download from the Internet. The Trustee publishes notices in major newspapers to victims and creditors regarding the liquidation of BLMIS. Less than one month after the discovery of the BLMIS fraud, the SIPA Trustee and his counsel announce the recovery of $29 million from the Bank of New York, the first of the funds stolen through the Ponzi scheme that are recovered. The U.S. District Court for the Southern District of New York appoints Irving H. Picard as SIPA Trustee for the liquidation of the Bernard L. Madoff Investment Securities brokerage firm and appoints Baker & Hostetler LLP as counsel to Mr. Picard. Bernard Madoff is arrested by the FBI and criminally charged with a multi-billion-dollar securities fraud scheme. The SEC files a complaint in the District Court against defendants Madoff and Bernard L. Madoff Investment Securities LLC (“BLMIS”) alleging that the defendants engaged in fraud through investment advisor activities.